The tough metal injection moulded alloy anchor is perfectly shaped for the securest engagement with the ClickSafe® locking mechanism. 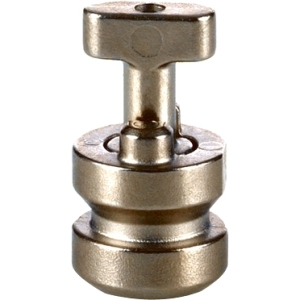 The security anchor is designed for a secure fit and simple locking, even when the anchor is in an awkward position. The security anchor attaches to the industry standard Kensington Security Slot in a matter of moments. Kensington ClickSafe® locks attaching to the ClickSafe® Security Anchor benefit from minimised leverage opportunities over a traditional laptop lock as the locking mechanism fits tight to the KSA without the risk of lockhead wobble.